First Monday is an openly accessible, peer–reviewed journal, solely devoted to the Internet. Interspaces, illusory sites, ‘places beyond all places’ – Beyoğlu is a site of utopias realised. These, within this Istanbul quarter, form the ‘heterotopia,’ giving this work its title. It is not based on creation of a concrete image of an actual geographic place. Instead, the work focuses on the fascination with Beyoğlu as a place which poses ever new questions, where dreams are born as quickly as they are shattered, a site of incomprehensibility, of permanent and collective limbo, of countless contradictions. This disorder within an urban milieu, which in its fragmentariness creates a multitude of possible new alignments, has been designated as a ‘heterotopia’ in Michel Foucault’s work on spatial theory; I borrow this concept for my work. 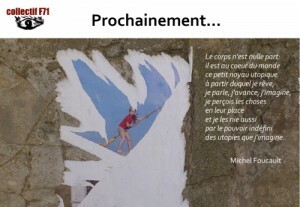 (quotes form: Michel Foucault, Les Hétérotopies – le corps utopique, Éditions Lignes 2009).